Throughout the school summer holidays, entry to the Lakeside Hammers Speedway Meetings will be just £1 for children. The top riders come from across the globe and meetings are now regularly shown live on Sky Sports TV. The meetings are held at Arena Essex and are a wonderful way for parents, children and friends to spend time together at the weekend. Please accept our thanks to everybody that attended the recent Ruggles & Jeffery sponsored meeting against Coventry Bees during School half term week and to the schools and organisations that displayed the poster publicising the event. 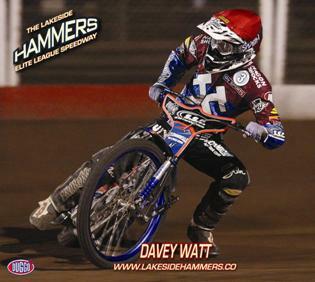 It was an exciting evening and although the Hammers lost overall, their top riders Davey Watt and Peter Karlsson won most of their races in thrilling style. Lakeside Hammers along with ourselves were delighted by the number of children that came along and we look forward to seeing you again at the next sponsored meeting at the start of the school holidays. More details about these meeting will be available shortly.